on my honor...: Garlands, garlands, garlands! I feel like I've completely hijacked this idea, but I'm being honest about it, so it's totally fine. 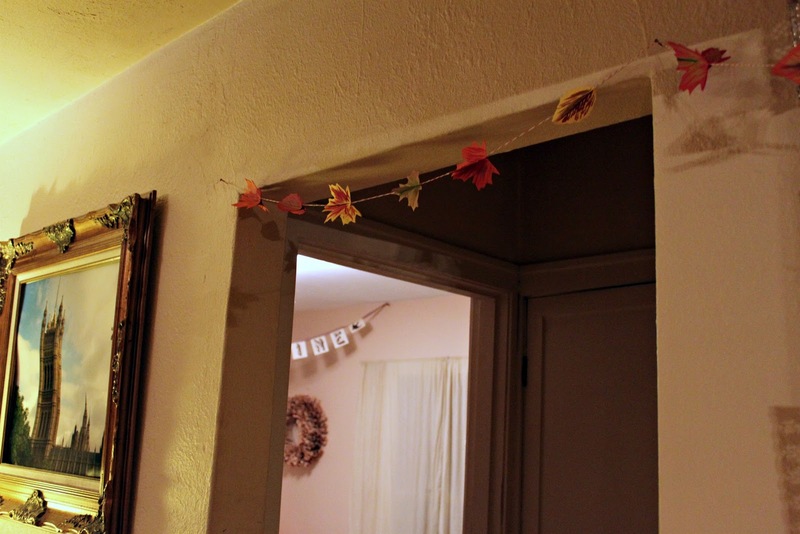 Christine originally blogged about these 3D paper garlands, and when I visited Monika in Burbank, I saw all of the leaves that Christine and Monika had made during Christine's visit. (Are you keeping up with me? I know I'm referencing a lot of sisters here.) I was inspired by Christine's idea and Monika's crafty execution of it, so I decided to pretty much copy it exactly. I guess no two leaves are alike, so I should be able to call this an original project. 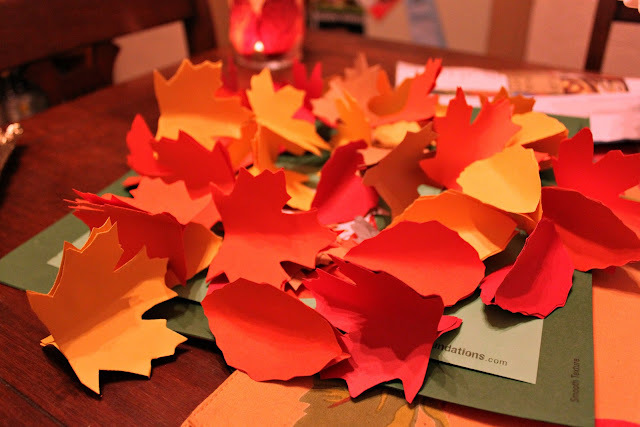 Here is a step-by-step tutorial on making your very own paper leaf garlands. Step 1) Buy some card stock at a craft store. I chose yellow, orange, red, and brown. 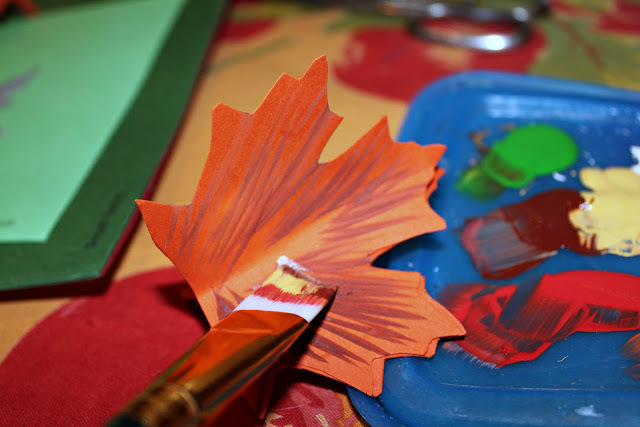 Step 2) You'll want to find a template of a few different kinds of leaves. I just did a google image search. They need to be symmetrical or they won't line up quite right. Step 3) Cut out the leaves in groups of three. 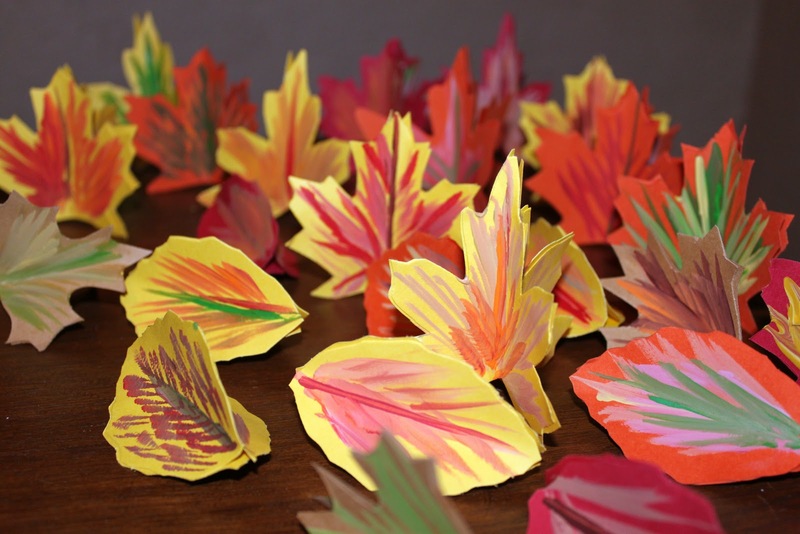 Slightly bend the paper leaves and glue the three sides together, forming a three-dimensional paper leaf. 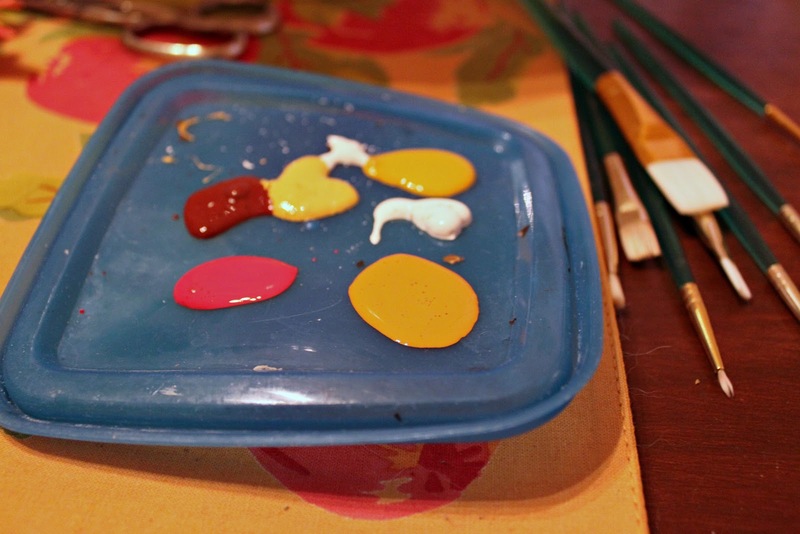 Step 4) You'll want to get some acrylic or tempera paints. I chose acrylic in a variety of fall colors. Step 5) Paint on leaf veins. It doesn't have to be perfect, and you can use any color pattern. They're supposed to look whimsical! Don't they look whimsical!?! Step 6) Get some nice twine. 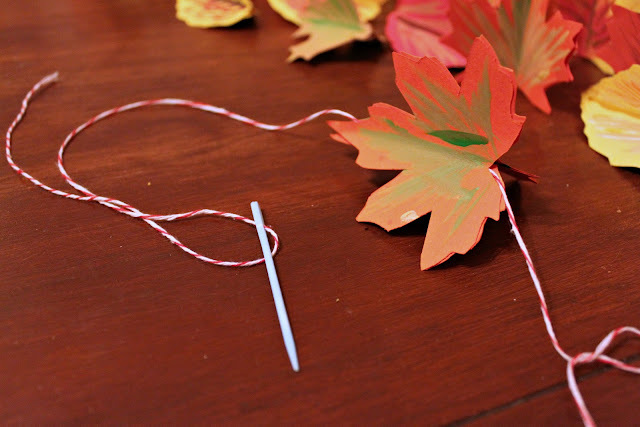 Step 7) You'll string the leaves onto the twine. 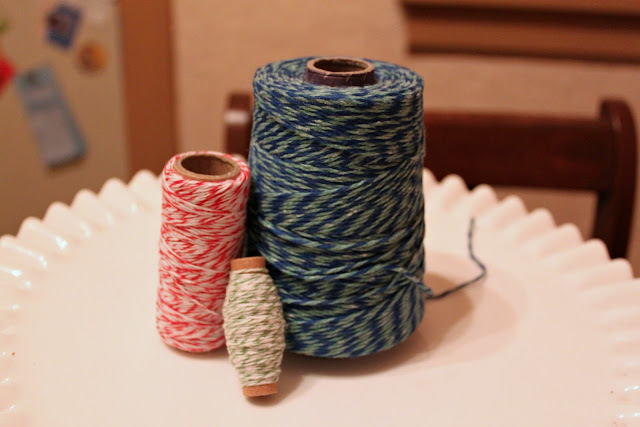 I used a yarn sewing needle that I have for knitting. 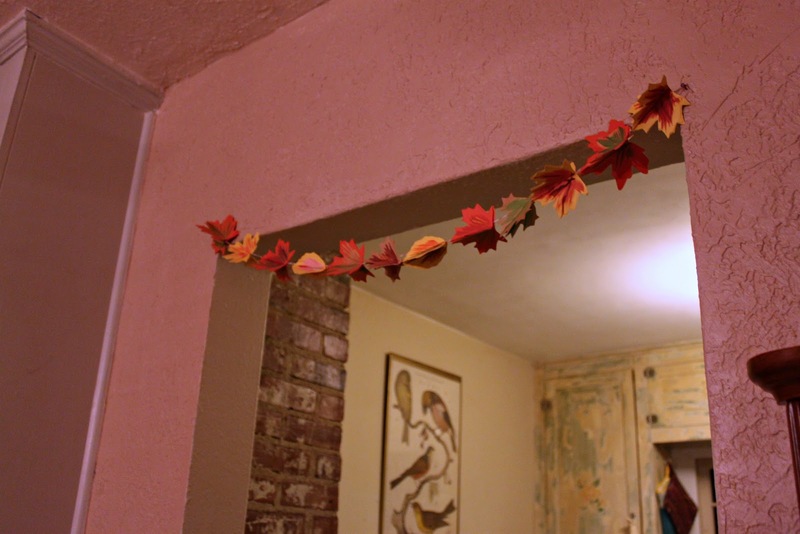 Step 8) Arrange all the leaves on the twine and hang anywhere your heart desires. Check out the pictures below to see where my heart desired my leaves to hang! I think they are marvelous. So wish I lived closer to you and maybe we could play together. 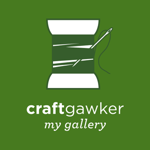 I love doing all the fun, seasonal, crafty projects. Bravo! And it's not a stolen idea, it's a reinterpretation. Thanks Kitty! We'll see what Nick thinks of more decorations! Great Fall classroom craft. I think I'll try somthing similiar with snowflakes. I always wondered how he reacted to your whimsical art. No one in my house ever appreciated my art. Things would be admired if I said, 'look at the new quilt, bag...etc I made... please tell me how much you love it". Then I'd get an appropriate response. I hope I taught him well. Thanks Julia! 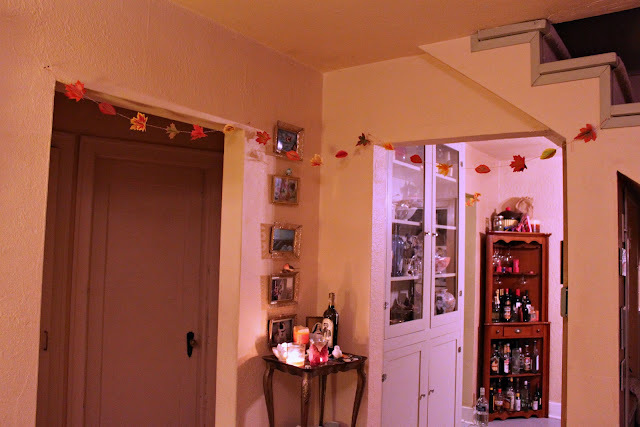 I think all three of us have different variations of this garland that we love to put up. Autumn is a great season, thanks so much for the link. You should probably paint your pets.